A representative will respond quickly. The item you will be receiving will be labeled with part number SL6PG. Model Number: SL6PG. 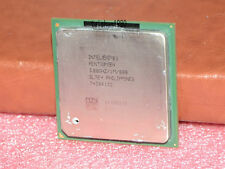 Processor Number SL6PG. Cache 512 KB L2. Processor Speed 2.66 GHz. This item passed all key functionality tests. 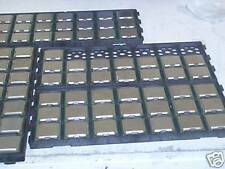 ² 1 X P4 2.8 512/400 Processors. We will do our best and help you provide the solution. ※ All faulty due to improper installation or improper use will NOT be covered by the warranty. CPU only, no accessories included. Trending at $6.40eBay determines this price through a machine learned model of the product's sale prices within the last 90 days. Cache 256 KB L2. Processor Base Frequency 1.80 GHz. Bus Speed 400 MHz FSB. Instruction Set 32-bit. TDP 66.7 W. Advanced Technologies. # of Processing Die Transistors 42 million. Processing Die Size 217 mm. Windows task manager reports this as a dual core CPU, because it has Hyperthreading, although these CPUs have a single core. Sock et 478. Boxed CPU (Without fan). 800 MHz FSB. I will make my best you won't receive such CPU but in case I just want you to know what to do. Various p4 processors range from 3ghz to 1.8ghz. Includes extra celeron. Processor core Northwood. Windows task manager reports this as a dual core CPU, because it has Hyperthreading, although these CPUs have a single core. 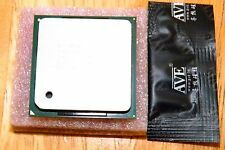 To distinguish this processor from Pentium 4 3.0 GHz processors with 400 MHz and 533 MHz FSB, this CPU is often referred to as Pentium 4 3.0C GHz. 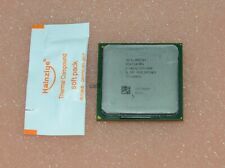 To distinguish this processor from Pentium 4 3.0 GHz processors with 400 MHz and 533 MHz FSB, this CPU is often referred to as Pentium 4 3.0C GHz. Windows task manager reports this as a dual core CPU, because it has Hyperthreading, although these CPUs have a single core. 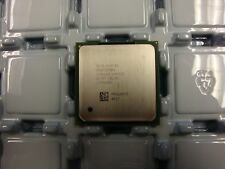 Intel Pentium 4 CPU - Socket 478 - 2.66GHz - SL6PE - No bent pins! PART NUMBER: SL6PE. CPU FREQUENCY: 2.33GHZ. COOLING DEVICE: NOT INCLUDED - PROCESSOR ONLY. VIRTUALIZATION TECHNOLOGY SUPPORT: N/A. 64 BIT SUPPORT: N/A. 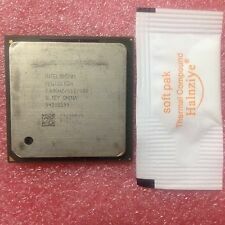 Intel Pentium 4 2.8 ghz 478 1M 800FSB. Tested working, no bent pins. shipped in anti-static bubble wrap and a bubble mailer for safety. There are many socket 478 systems which can handle this CPU, but not a Prescott Pentium 4 with 1MB L2 cache. Also, this gives similar performance to the Prescott 3 GHz Pentium 4, but it runs much cooler (69 Watts vs 89 Watts). 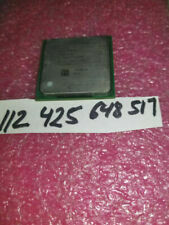 Pentium 4 PGA478. 3.00GHz 530 SL7E4. Clock speed | Processor number | Processor ID. 2.60GHz n/a SL6WH. 2.80GHz n/a SL6PF. P4 2.4 GHz, 2400 MHz Socket 478 CPU. · 533 FSB Bus frequency is 133 MHz. Because the processor uses Quad Data Rate bus the effective bus speed is 533 MHz. 533 Bus is the fastest CPU for many older Dell Compaq Gateway & HP Computers that do not support the 800 MHz Bus. Model: SL7YP. 2.40MHZ / 1M / 533. Tested good.No bent pins. 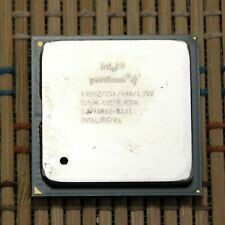 Pentium 4 SL66S 2.2 GHz Socket 478 CPU. Part Number: SL6RA. Cache: 512KB. Bus Speed: 400MHz. Family: Pentium 4. Socket: 478.